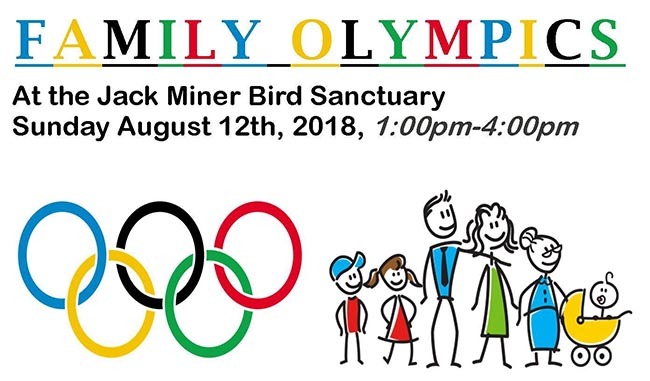 Join in a little friendly competition at The Jack Miner Sanctuary during the Family Olympics event on Sunday, August 12, 2018. 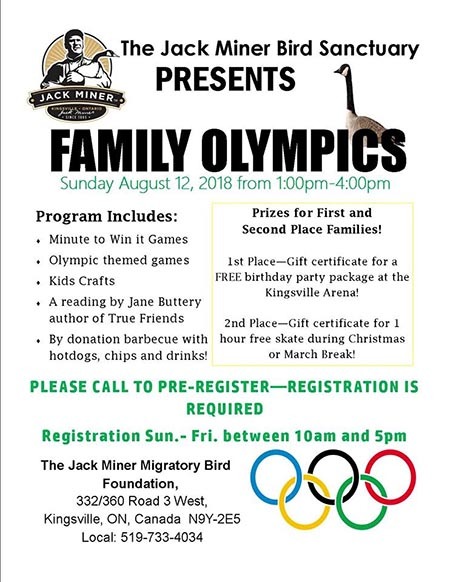 Put a team together of family and friends and try your hand at Olympic themed games, a scavenger hunt and crafts! 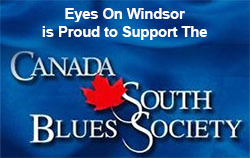 The afternoon will also include a by donation barbecue with hot dogs, chips, and beverages. Picnic tables are available if you would like to bring your own lunch. The historic house and museum will also be open for tours. In the museum Jane Buttery of Truelight books will be reading selections from her wonderful storybooks. Family prizes available to be won! 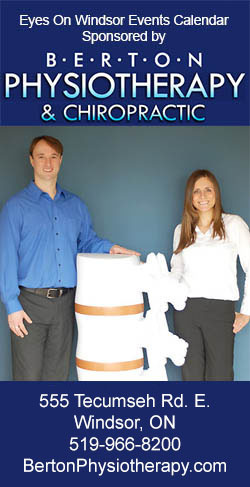 First prize for the Olympic challenge will be a gift certificate to the Kingsville Arena for a Birthday Party Package. 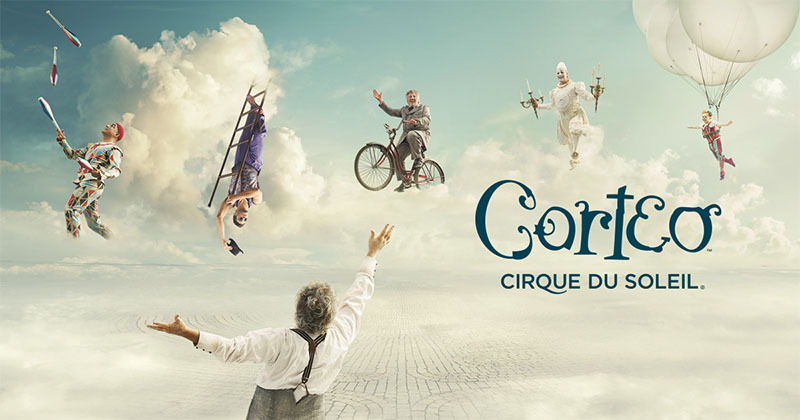 This prize includes a room rental and public skating passes for 20 people. Second prize is a gift certificate to the Kingsville Arena for one hour of ice time during Christmas Break or March Break. Be sure to bring your Olympic strength!